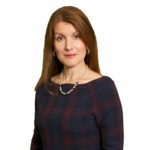 Anna Petrova is a senior Supply Chain leader with over 25 years of Supply chain experience with multinational CPG companies like P&G, Wrigleys, Cadbury, Ferrero. Throughout her career in Europe and in North America, Anna has led commercial and industrial Supply Chains, set up “greenfield site” operations and led transformations of mature supply chains. Her aspiration is to build best in class, high performing supply chain teams, with a strong focus on talent development. In March 2019, Anna received an SCMA nomination as one of the Top 100 Influential Women in Canadian Supply Chain. In Anna’s present role with Conagra Brands, she is in charge of its Canadian supply chain.